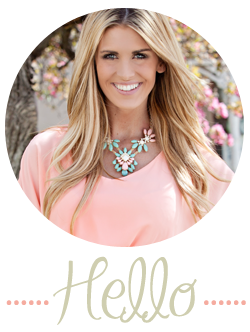 Hey McKi: Holster Brand & Giveaway!! 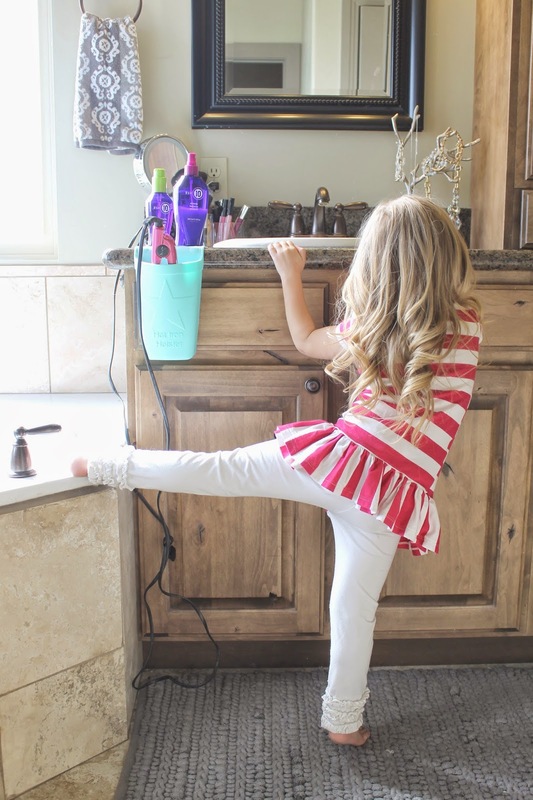 When I do Laikynn's hair in the morning I try to come up with fun distractions to keep her entertained long enough to hold still while I curl her hair. She is such a busy girl that most day this is a pretty hard task. She is grabbing and touching EVERYTHING. 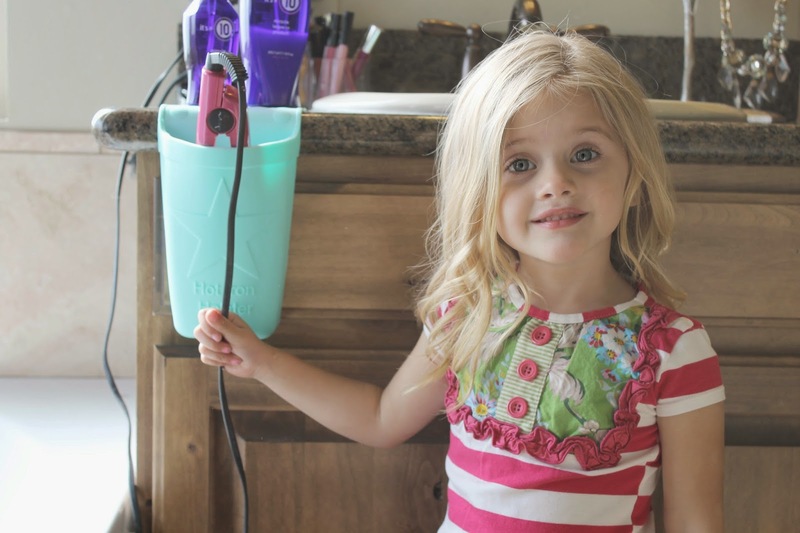 I warn her almost every day not to touch the curling iron or straightener but it still makes me nervous even having it within reach of her. Then I came across this genius product, The Hot Iron Holster. 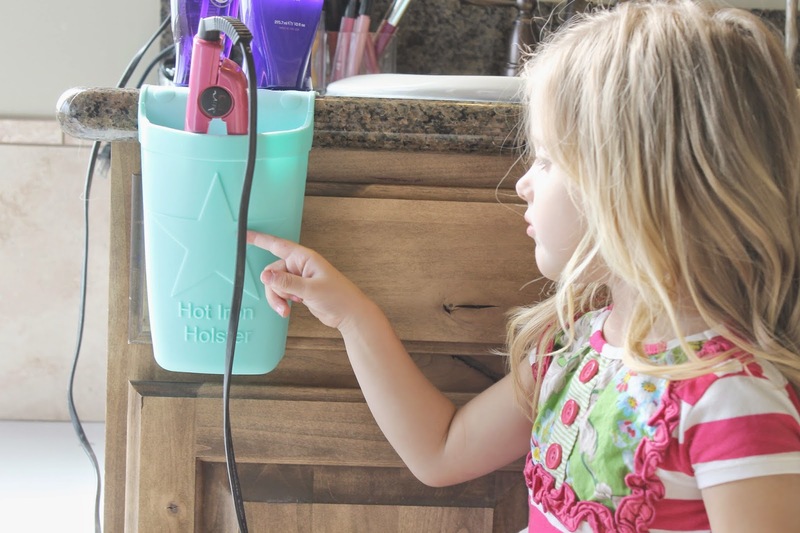 Not only does it keep my bathroom looking clean and organized but it keeps the hot curling irons away from little fingers! 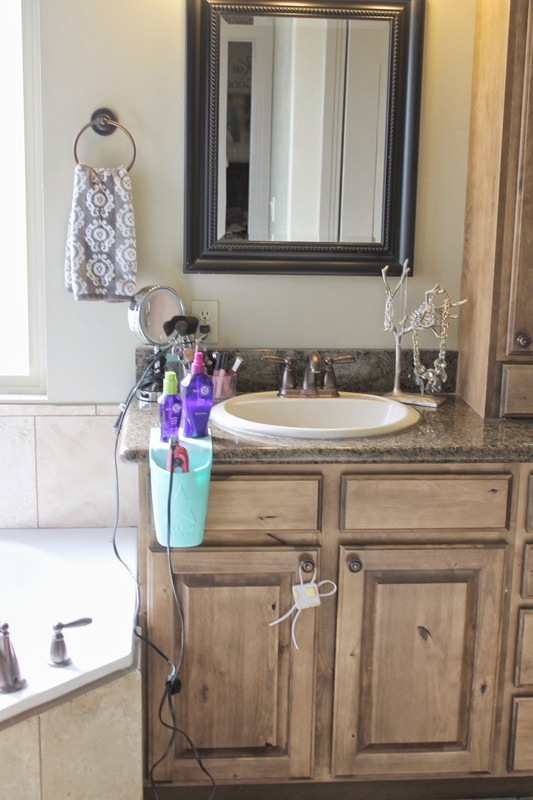 It easily sticks to almost any surface so you can remove it when finished or just keep it out as a cute way to organize! 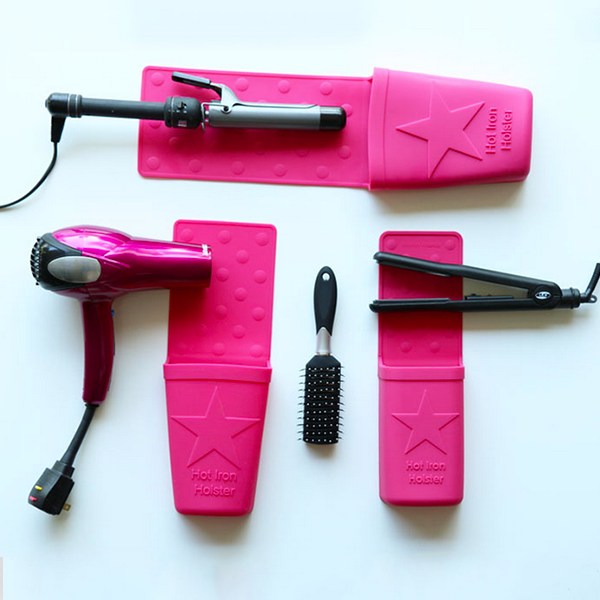 & it doesn't just hold hot irons! 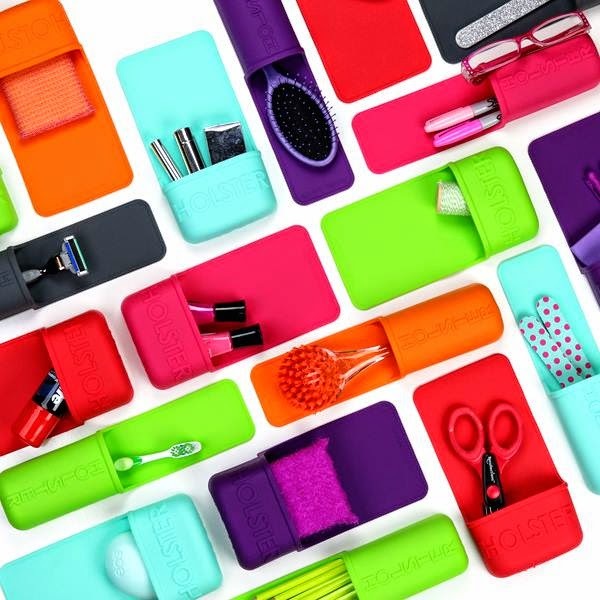 It comes in fun colors and sizes to organize almost anything!! 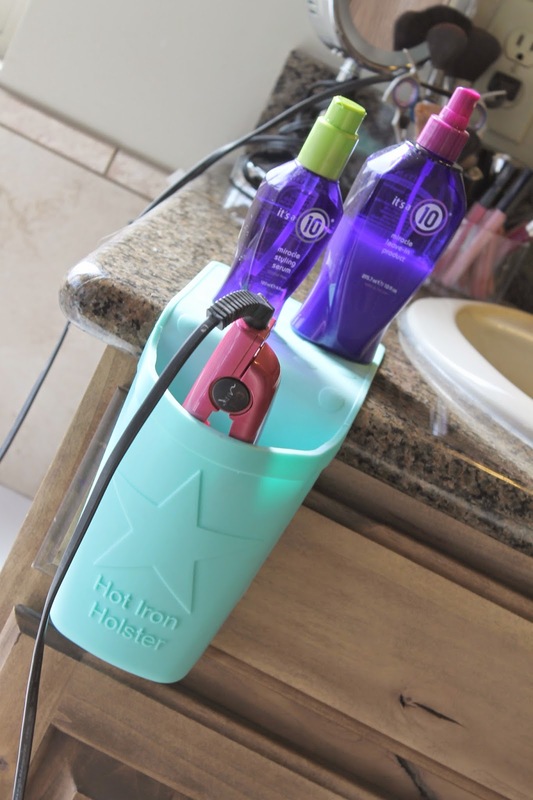 I've teamed up with Holster Brand to bring you a fun giveaway!! Check out my Instagram for details tomorrow morning! !